"I Really do. When you have plumbing problems in Simi Valley, ca it disrupts your entire schedule. A prompt and complete repair is going to save you a lot of hassle. I've been repairing and installing plumbing locally since 1989 and my clients are consistently delighted with how I work. You'll know the price before we begin, We'll fix it right, clean up our work area, and guarantee our work. Because so much of my work depends upon the referrals of my satisfied clients, your trust is something I expect to work for. 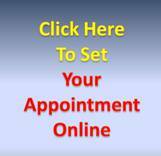 Give us a call and get on with your Life." Simi Valley and Moorpark premier plumbing service. Need an automatic earthquake gas shut off valve in Simi Valley or moorpark? 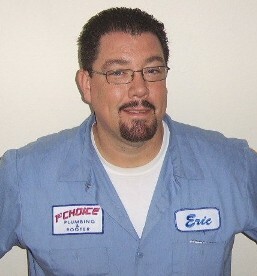 Click here!If you are looking for a great plumber, give us a call! We are "A" rated with the better business bureau. We offer tankless water heater repair and installation. If you have a drain stoppage, or just a slow drain, we can help. Is dirty water backing up your sink? Is that old toilet not flushing right? Maybe you need rooter service. We can unjam your garbage disposal, replace those old corroded pipes under your sink, and with electronic leak location, we can locate that slab leak. Do you have a faucet that leaks and needs a repair? Is That sprinkler valve leaking? How about a beautiful new shower valve? We can replace pipes, install clean outs, replace sump pumps, and even locate gas leaks, call us for any plumbing need. Yes! 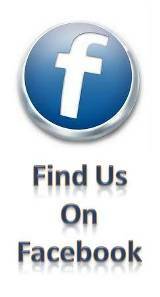 We will install customer supplied parts! Call us for any Plumbing need! If you live in Simi Valley or Moorpark and you need a plumber, give us a call. Recently we installed a water heater for a customer in simi valley, CA 93063 complete with city permit, earthquake straps, new shut off valve (ball valve) Drip pan, T&P drainline to the exterior, new water heater flexes and top it all off a water recirculation pump to get hot water to the master bath and kitchen instantly. Another recent plumbing job was in Simi Valley, Ca 93065. The customer had called saying the toilet was flushing slowly and the water just "swirled around" but didn't go down. Upon inspection we gave the customer options for toilet repair and for replacement. The customer chose to get a new high performance toilet called American Standard Champion. The toilet that has actually flushed a bucket of golf balls with one flush! They wont be needing a plumber for that toilet for a long time! A few weeks ago, I did a plumbing job in Simi Valley, Ca 93065. The customer said that when she did laundry, her kitchen sink would start to fill up with dirty water and soap bubbles. I came out the next morning and ran the snake through the appropriate cleanout and in just about an hours work her kitchen and her laundry were draining fast! A few days later I got a call from Moorpark, CA 93021. The customer called saying that her kitchen faucet had a slow leak. Her faucet was installed only a few weeks ago by another plumber and he wouldn't come back to fix it. I checked the water pressure and found her regulator wasn't working and she had 130 pounds of water pressure going in to the house. Maximum water pressure per upc plumbing code is 80 psi in the house. I replaced her pressure regulator and voila, the kitchen sink faucet stopped dripping!